How to clean curtains: put them in the laundry hampers with a wet towel over them to attract dust. In this way you will save more money. Flawless walls. Remove permanent marker on walls or clothes using hairspray. Leave on for one minute, then rinse with warm water. 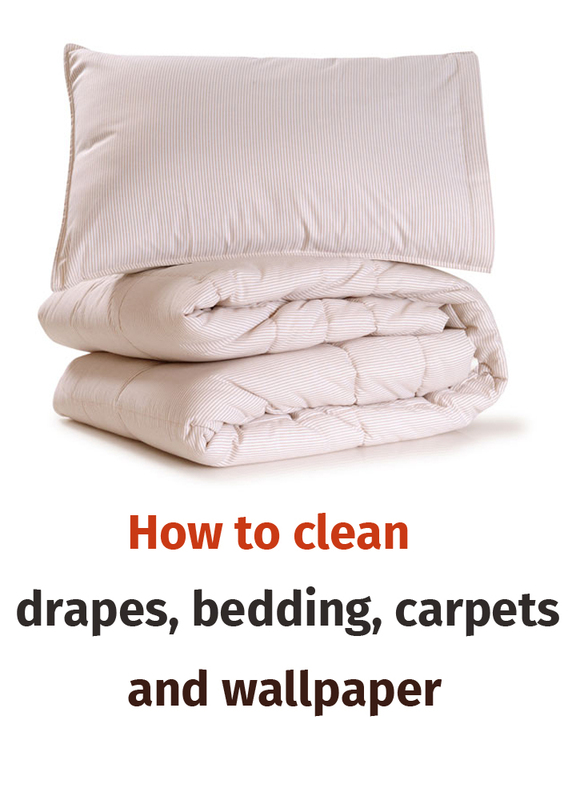 Clean them with a clean cloth. Wrap it around your finger and wipe each blade . After a family party, you may see lots of stains on the carpet. A little shaving cream will remove red wine stains; all you have to do is rub the stain with a sponge after you put shaving foam over it, then clean the spot with hot water. In order not to waste time sorting clothes when you need to wash them, buy a few laundry baskets and sort them on categories: laundry that requires hand washing, linen, clothes which require cold water washing, colored clothes, bedding etc. Vacuum without too much effort! If you’re comfortable and it bothers you to unplug the vacuum from each time, use a plug extension that will allow you to walk through the entire house. Wipe fingerprints off wallpaper with a piece of fresh bread. It may seem a joke, but it really works! If your floor, whether it is wood, tile or vinyl (linoleum), is full of stains, clean it with an eraser; dirt will be removed quickly. Your dog did not give up the bad habit and still pees on the carpet? Put baking soda on the stained portion and then vacuum. When my children practice art on the walls with their crayons, make a mixture of baking soda and water (in equal amounts), put the paste on the stain and watch those disappearing. This works especially on white or light colored walls. I remove traces of grease on my husband’s shirt collar with shampoo. It is an efficient solution because shampoo contains ingredients that are designed specifically to remove oil from the body. Remove burns (even pieces of clothing) on the iron wiping it with a sheet of aluminum. Destroy sweat stains! To remove sweat stains from clothing, soak them in warm water with vinegar.